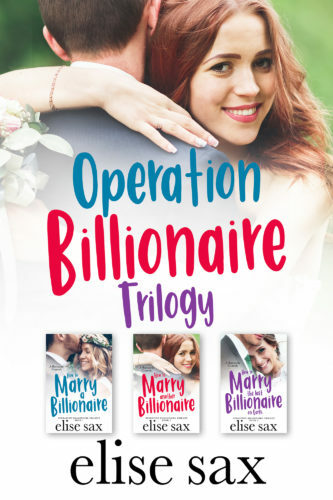 The Operation Billionaire Trilogy boxed set includes three full-length hot and hilarious full-length novels by the author of the Matchmaker books. It’s perfect for fans of billionaire romance, romantic comedy, and chick lit. Perfect for fans of billionaire romance, beach reads, romantic comedy, and chick lit.